DAY 1: Arlington National Cemetery - Arlington National Cemetery is comprised of land that once belonged to George Washington Parke Custis, grandson of Martha Washington and adopted son of George Washington. In 1857, Custis willed the 1,100-acre property to his only surviving daughter Mary Anna Randolph Custis, who was married to Robert E. Lee. After the Lee family vacated the estate in 1861 at the onset of the Civil War, federal troops occupied the property as a camp and headquarters. As the number of Civil War casualties was outpacing other local Washington, D.C.-based cemeteries, the property became a burial location. NEXT SLIDE: Arlington National Cemetery has evolved from a place of necessity to a national shrine to those who have honorably served our Nation during times of war – including every military conflict in American history – and during times of peace. The cemetery is the final resting place for more than 400,000 active duty service members, veterans and their families. “Service to country” is the common thread that binds all who are honored and remembered here. DAY 2: HONOR: Laying our Nation’s veterans and their eligible family members to rest with dignity and honor, while treating their loved ones with respect and compassion, is the cornerstone of Arlington National Cemetery’s mission. 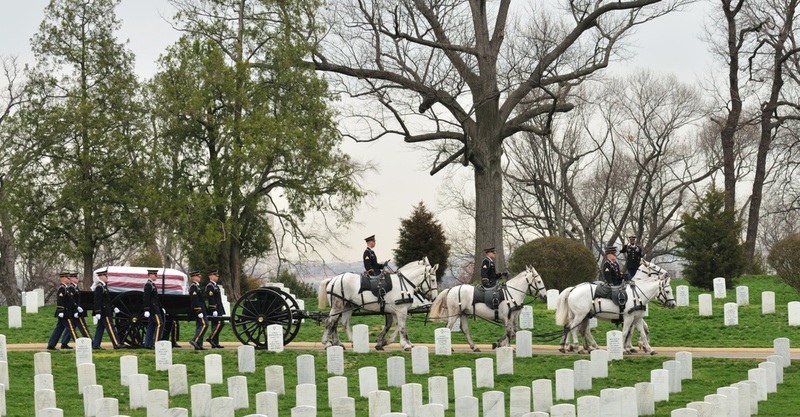 As you walk through the cemetery, you may see a horse-drawn caisson carrying an American flag-draped casket, hear the firing of three rifle volleys in the distance, or feel a lump in your throat as a lone bugler plays the 24 lingering notes of Taps. These honors remind us of service, sacrifice and valor – and are examples of the dignified way we take care of those who have defended and protected our freedoms. DAY 3: The Memorial Amphitheater at Arlington National Cemetery in Arlington, VA, was dedicated on May 15, 1920. 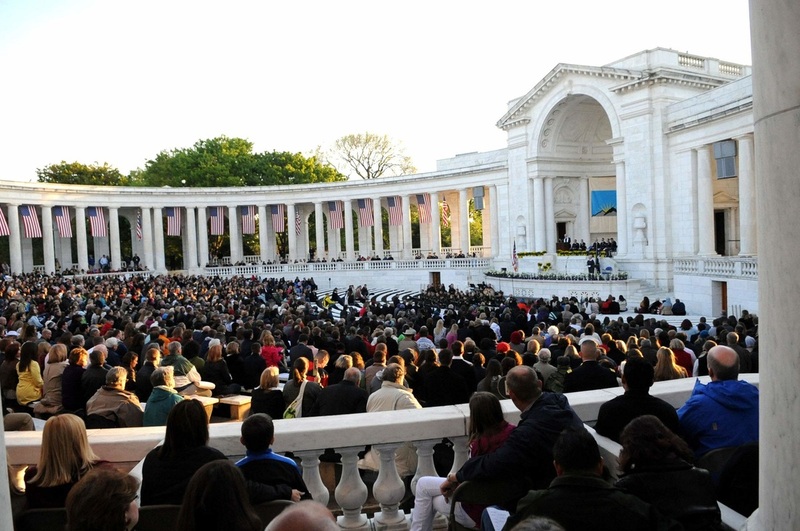 While many ceremonies are conducted throughout the country, many consider the services at Arlington's Memorial Amphitheater to be the nation's official ceremonies to honor all American service members who serve to keep the United States free. 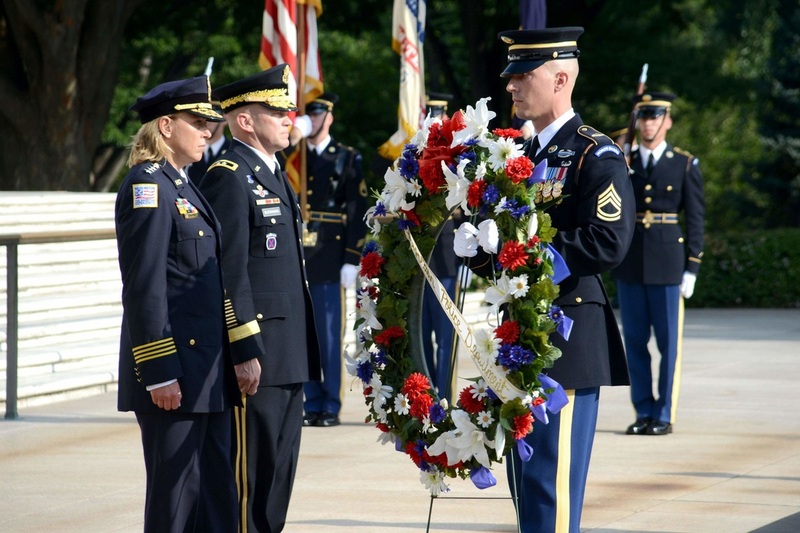 DAY 4: The Tomb of the Unknown Soldier, one of Arlington’s most well-known memorials, includes the remains of unknown service members from World War I, World War II and the Korean War. 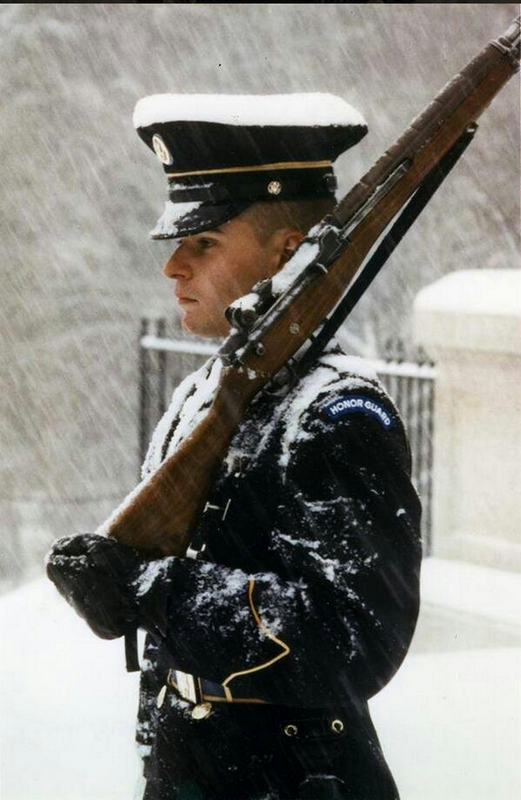 The Tomb of the Unknown Soldier is guarded 24 hours a day, 365 days a year, and in any weather by Tomb Guard sentinels. Sentinels, all volunteers, are considered to be the best of the elite 3rd U.S. Infantry Regiment (The Old Guard), headquartered at Fort Myer, Va. After members of the 3rd U.S. Infantry Regiment become ceremonially qualified, they are eligible to volunteer for duty as sentinels at the Tomb. Each soldier must be in superb physical condition, possess an unblemished military record and be between 5 feet, 10 inches and 6 feet, 4 inches tall, with a proportionate weight and build. An interview and a two-week trial to determine a volunteer's capability to train as a tomb guard is required. Many visitors to Arlington witness the impressive Changing of the Guard at the Tomb of the Unknown Soldier. If a soldier passes the first training phase, "new-soldier" training begins. New sentinels learn the history of Arlington National Cemetery and the grave locations of nearly 300 veterans. They learn the guard-change ceremony and the manual of arms that takes place during the inspection portion of the Changing of the Guard. Sentinels learn to keep their uniforms and weapons in immaculate condition. 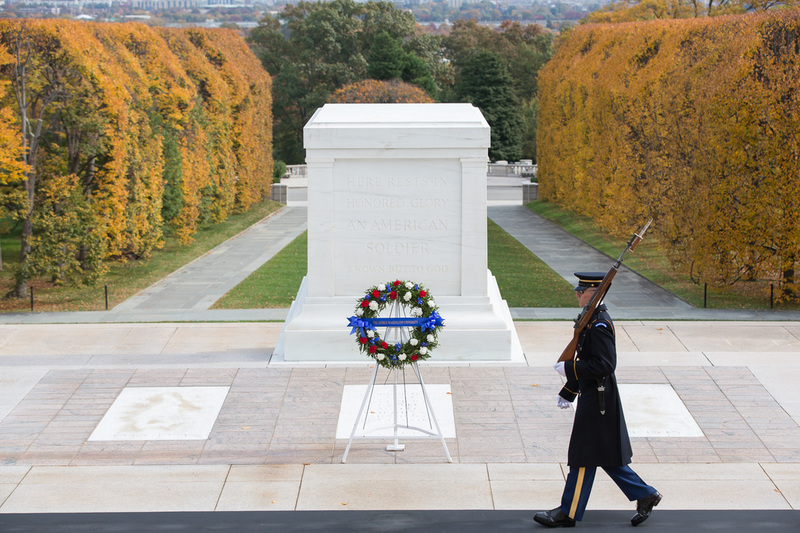 Serving as a tomb guard at the Tomb of the Unknown Soldiers is perhaps the highest honor in the military. DAY 5: President John F. Kennedy Gravesite. On Nov. 22, 1963, while on a campaign trip to Dallas, President Kennedy was shot and killed. 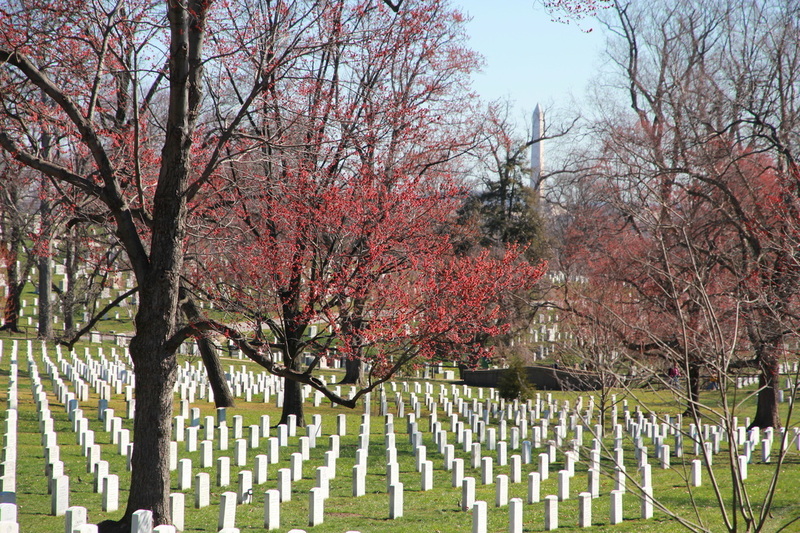 There are only two U.S. presidents buried at Arlington National Cemetery. The other is William Howard Taft, who died in 1930. 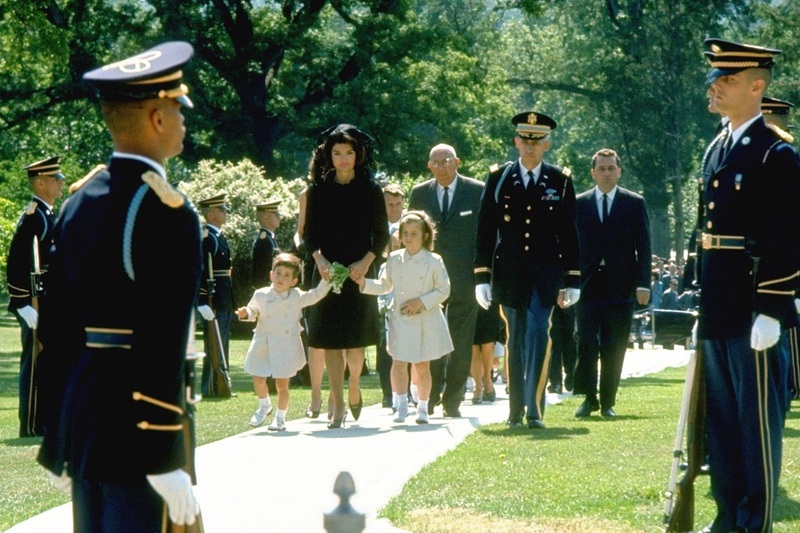 Mrs. Kennedy had expressed a desire to mark the president's grave with an eternal flame similar to that of the French Unknown Soldier in Paris. 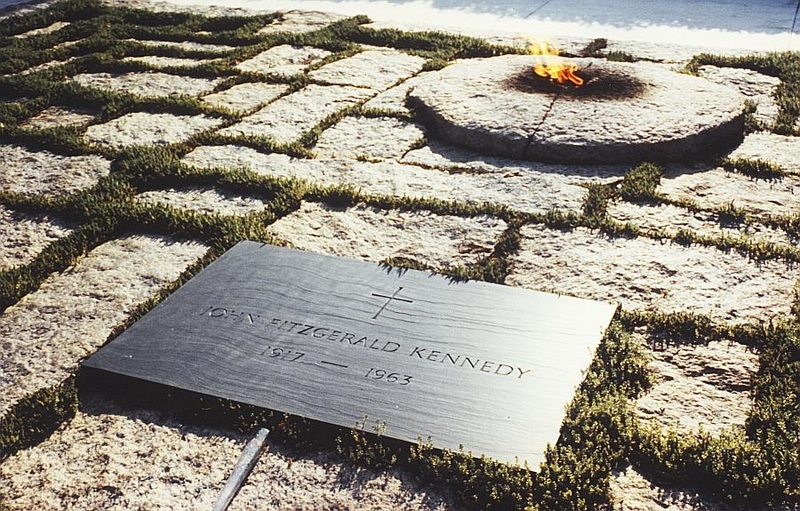 Lighted by Mrs. Kennedy during the funeral, the Eternal Flame burns from the center of a five-foot circular flat-granite stone at the head of the grave. The burner is a specially designed apparatus created by the Institute of Gas Technology of Chicago. A constantly flashing electric spark near the tip of the nozzle relights the gas should the flame be extinguished by rain, wind or accident. The fuel is natural gas and is mixed with a controlled quantity of air to achieve the color and shape of the flame. 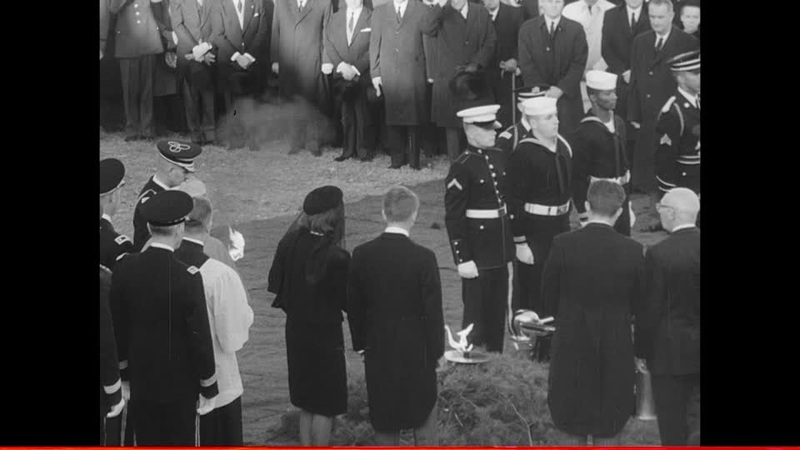 Today’s video shows the Kennedy gravesite and those of several others who are well known.